Hi everyone, the weather forecast shows that a snow storm may be coming to our area on Saturday and may affect travel to our Open Sew meeting. We will be making an announcement here by 9AM on Saturday if the meeting is cancelled for weather. Stay safe! Our first meeting of the year is this Saturday, January 24, from 12-4PM. Bring your sewing machine and supplies, plus a power cord/strip if you have one handy. We have run out of batting for charity quilts, so bring your own quilts in progress, or piece a top for a charity quilt from our guild stash. Show and tell is extra fun with a stage! Bring a finished quilt to show if you have one. Sign ups are individual and first-come, first served! Check your email for signup information. 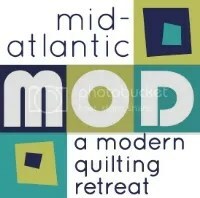 If you didn’t get an email, email info@themodernquiltguild.com.